Surprise! If you’re a Realms subscriber on the PC edition of Minecraft, you’ve got some new content today. Releasing a bunch of Halloween experiences last week caused some build-up in the launch tubes, and so we already have four snazzy, new maps for you to dig into. When a dragon shows up to extort your village for gold, there’s only one thing you can do: get huge and wreck everything! A Giant Quest is a short single-player adventure that plays with your sense of scale in some surprising ways, then afterward, allows you to create your own village in that same world. Continuing Mithey’s trend of animal-related maps, we’ve got Bear Buds! You’re a polar bear with a dwarven shield and a flaming ax, off to find your dad. We don’t ask too many questions. If you like adventure gameplay mixed with puzzles and bears, you’re going to love this map! This fast-paced minigame is best with a large group of friends. Get everyone together and stand on the proper color, or else you fall to your doom! Mithey has two maps this week, and this one is a sequel to a recently-released adventure! Inspired by a particular monster-catching photography game, this on-rails shooter has players riding pandas through five ghast-infested levels. 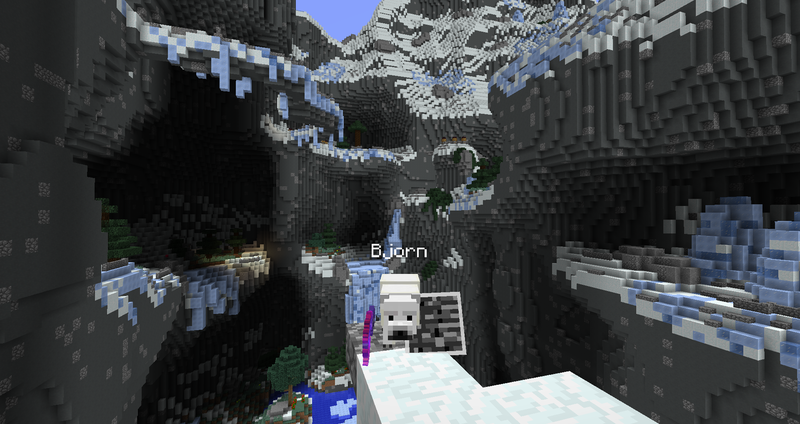 These adventure maps and this minigame can be downloaded right now through Minecraft Realms for PC, or directly through their creators. 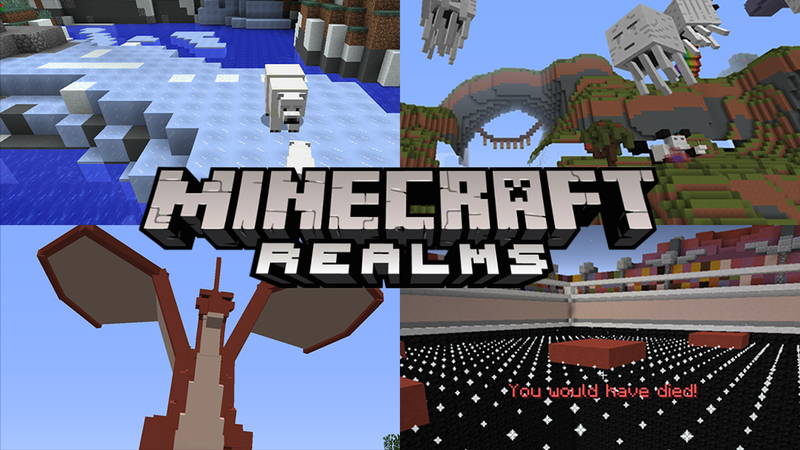 If you or your friends don’t already have a Realm, you can find out loads more at minecraft.net/realms. If you have fun with these, let the creators know all about it!